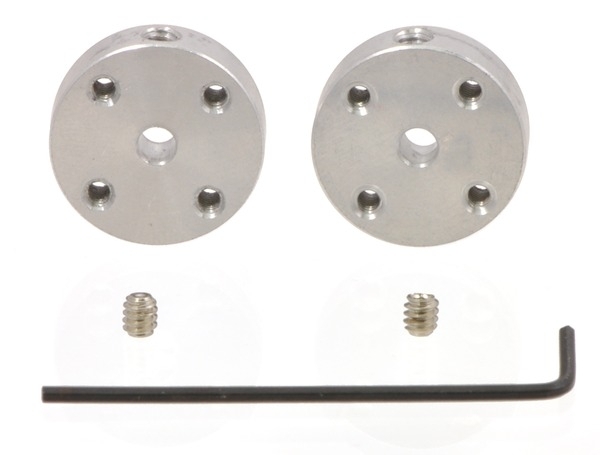 These universal mounting hubs are designed to work with most 3 mm diameter shafts, including round shafts, “D” shafts, and Tamiya’s 3 mm hexagonal shafts. 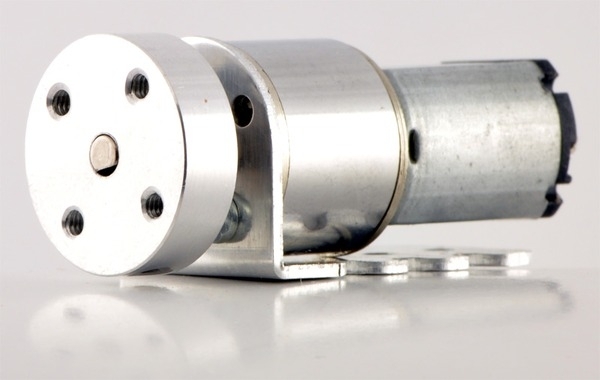 Each of the two included hubs has four mounting holes for #4-40 screws (not included), letting you mount custom wheels or mechanisms to your motors. 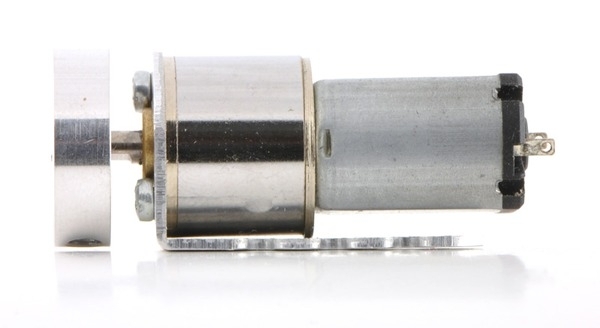 The two included #4-40 hex set screws (one for each hub) allow secure coupling of shaft to hub, and a 0.05″ hex wrench (often the smallest size in SAE Allen wrench sets) is included for use with the set screws.